Prime Minister Narendra Modi is expected to inaugurate the Jewar Noida International Airport (JNIA), also known as the New Greater Delhi Airport redevelopment project between February 23-25, 2019 by laying a foundation stone for the USD 3.1 billion project, which will be the largest airport in India by surface area. JNIA, set to become operational in 2022, will provide the National Capital Region with a second facility after Indira Gandhi International Airport. 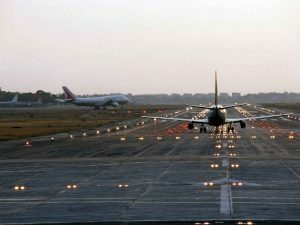 The GMR Group holds first right of refusal for any new airport in Delhi and in February 2018, GMR Infrastructure’s director K Narayan Rao confirmed GMR’s plans to participate in the project. Rao said that a coordination committee should be established with representatives of the Union Government, Uttar Pradesh State Government and private sector to oversee the project and avoid delays. He also called for the development of metro rail connectivity to the planned airport.